Reigning League Champions Kilkenny hit Dublin with a second half scoring onslaught to claim the points on offer in Callan this afternoon. 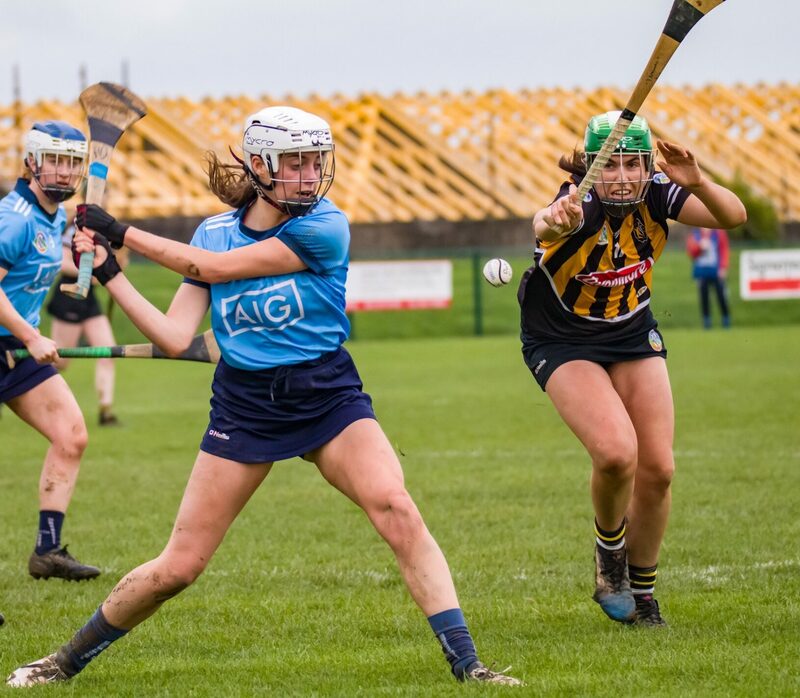 A baptism of fire for new Dublin Senior Camogie manager Frank Browne and his squad in the lions den of the Marble County as the Cats flexed their muscles after the break. It was in complete contrast to the first half as Dublin put it up their hosts with a mixture of aggressive but fair tackling, good movement and quick delivery to the forwards. The result of that approach resulted in Dublin taking a one point lead with them into the dressing room at half time, it could and should have been more, but Dublin were left to rue a couple of missed frees. 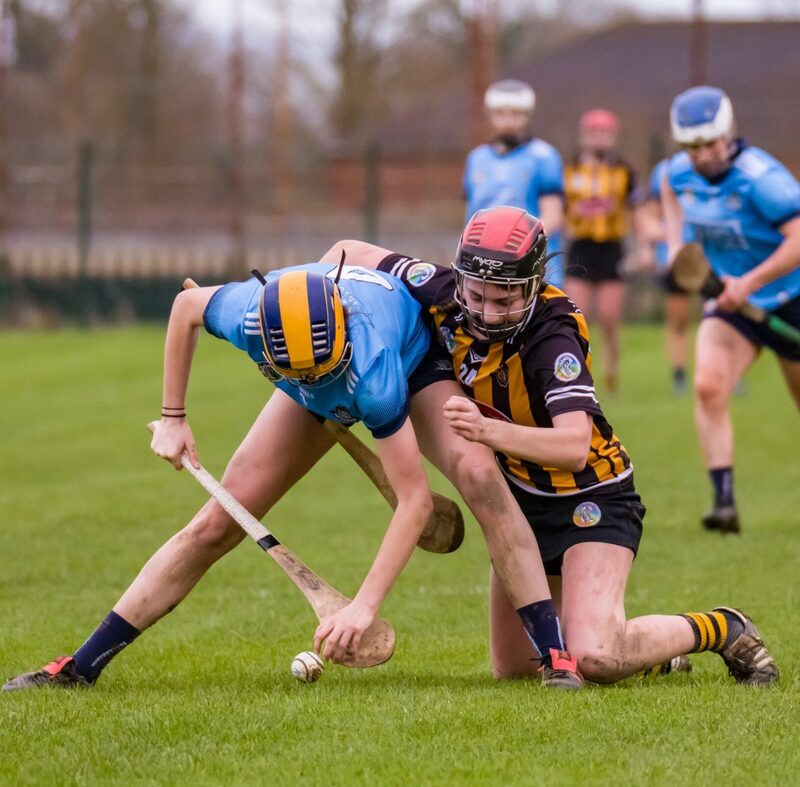 Any chance though of a memorable win for the sky blues was quickly evaporated as Kilkenny emerged for the second half with renewed vigor and a couple of early personnel changes and an increased pace to their play seen The Cats dominate the second period. The first score of the game arrived in the 3rd minute with a fine point from Aisling Maher. A converted free in the 7th minute from Danielle Morrissey had the sides level. 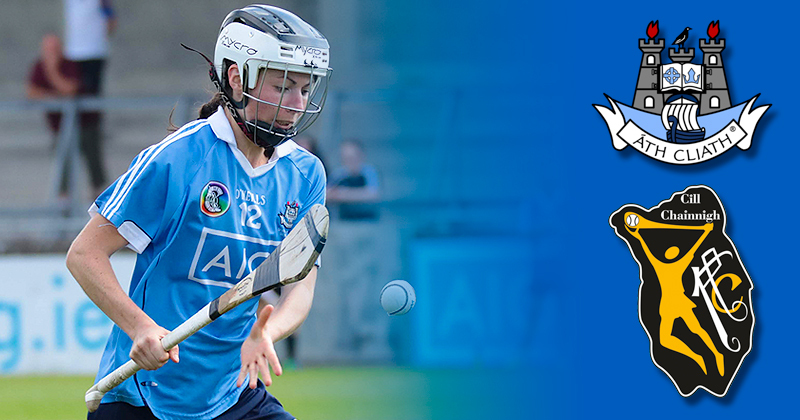 Dublin regained the lead with a sublime point from almost on the end line from Siobhan Kehoe and in the 12th minute they led by two with a free from Ali Maguire. Kilkenny’s Miriam Walsh reduced the deficit with a fine point from play but another Ali Maguire converted free put Dublin back two in front. The game turned into a real battle on the sodden and slippery surface with some excellent blocking, hooking and tackling from both sides which resulted in a ten minute scoring lull. The barren spell was ended with. Denise Gaul pointed free for Kilkenny to leave just the bare minimum between the teams with five minutes to go to the short whistle. The sides were level in the 27th minute as Steffi Fitzgerald a late replacement to the Kilkenny team split the posts. Dublin’s Aisling Maher restored the lead with another sumptuous effort from play and Siobhan made it a two point game with a converted free. 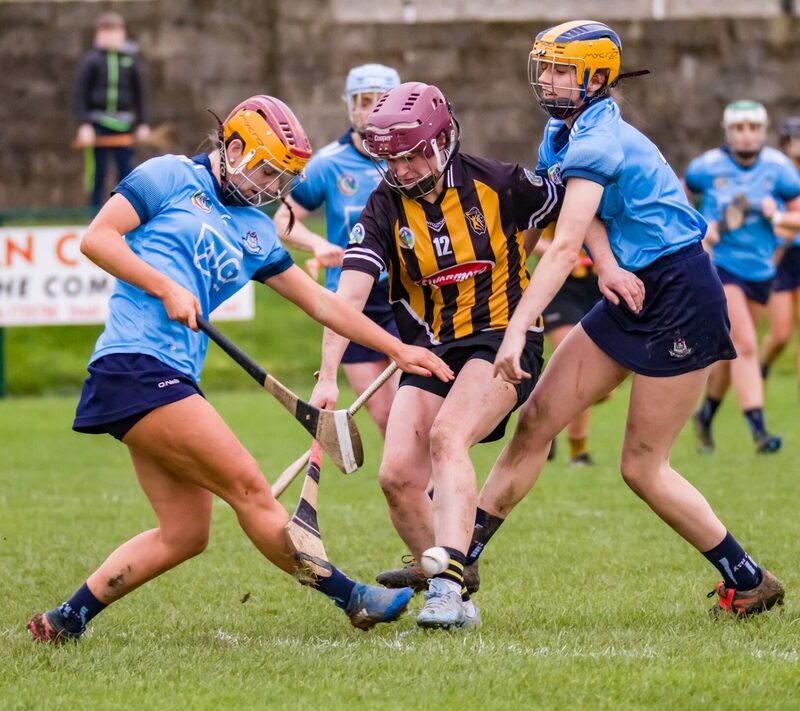 Kilkenny were awarded a free in first half injury time which Danielle Morrissey dispatched to leave the score at half time 0-06 to 0-05 to Dublin. Kilkenny quickly asserted dominance over proceedings after the break and points from Miriam Walsh, Anne Dalton and a Danielle Morrissey free put Kilkenny two in front inside the opening seven minutes of the second half. Neither side troubled the scoreboard for the next twelve minutes as a combination of good defending and a couple of missed opportunities by both teams insured the game was still in the melting pot. But with eleven minutes to go Kilkenny pressed the turbo’s and hit an unanswered 1-07 to run out comfortable winners in the end, a brace of points from Danielle Morrissey, Denise Gaul and Miriam Walsh, one from Anne Dalton and a goal from Katie Nolan sealing the deal. With today’s game Dublin’s first of the year it would be harsh to make any assumptions or be too critical after today’s performance. There was plenty to admire in their first half display, but there is plenty of work still to be done and a couple of worrying bad habits crept back into Dublin’s play in the second half, the forward line dropped far too deep after the break and that resulted in the scores drying up and made it far too easy for a Kilkenny defence that was made to look very ordinary by Dublin in the first half. Dublin also lost what had been a very impressive disciplined shape as the second half progressed and Kilkenny players who had been well marshaled in the first half and opening quarter of the second half suddenly found themselves in acres of free space and took full advantage. The aim for Dublin now will be to transform that excellent first half display into a full 60 minute one, if they can do that on a consistent basis they will be a very difficult team to beat for the rest of the season. Next up for Frank Browne’s team will be the visit of Offaly to the Capital next Sunday afternoon.